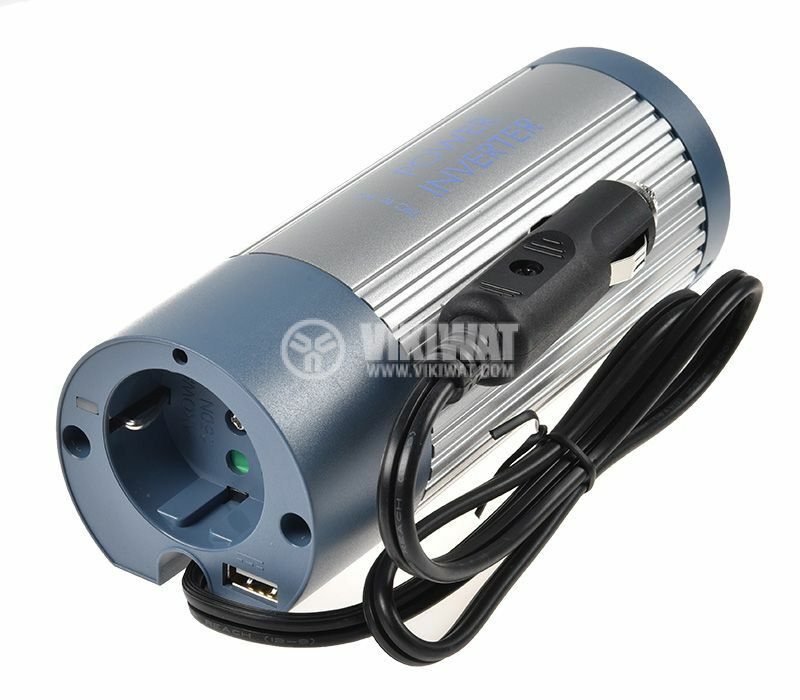 Inverter converter 24 VDC - 220 VAC with modified sine wave and output power 150 W for 30 min (300 W peak). 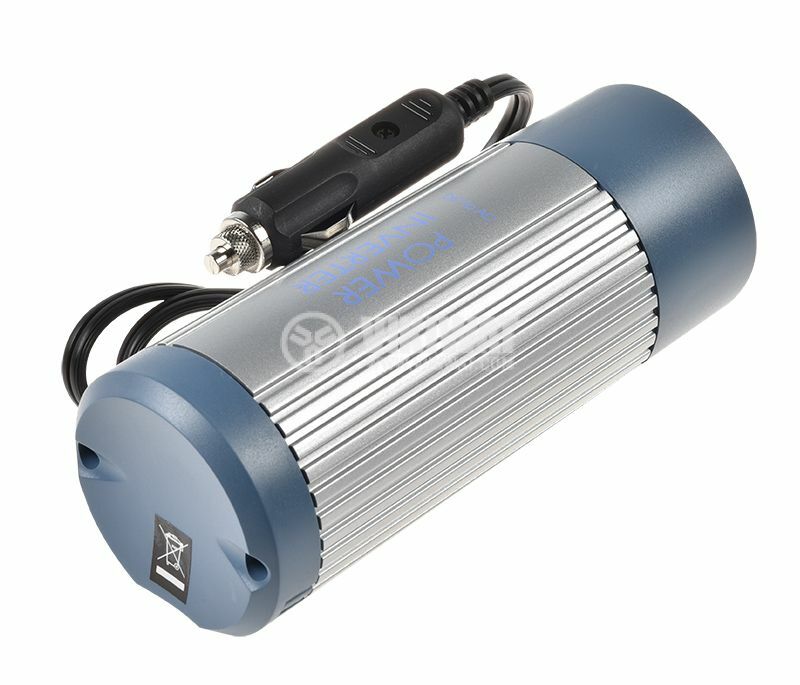 Can be used anywhere you have a 24 V battery; Buses, trucks and more. With this inverter, you get a budget and reliable power solution virtually anywhere on different types of devices and consumer electronics: laptops, chargers, TVs, video and DVD players, game consoles, small tools, etc. running on 230 VAC. It has high peak power. 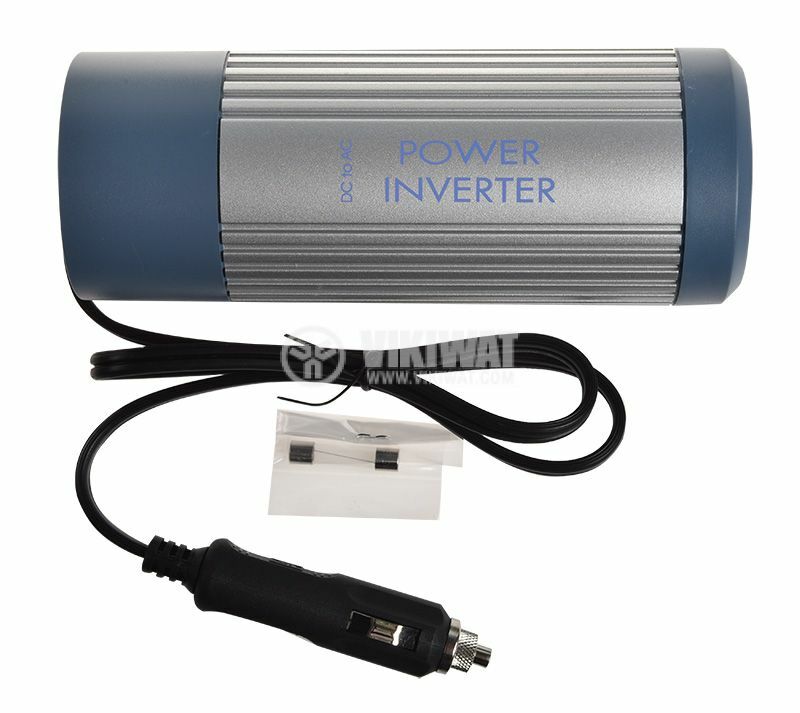 This inverter model also has a USB port that allows sensitive devices such as mobile phones, MP3 players, digital cameras and cameras to be used anywhere. The compact design, the metal housing and the relatively light weight allow its use in various environments. Built-in protectors protect your devices from damage and battery protection protects from deep discharge of the battery used for power. 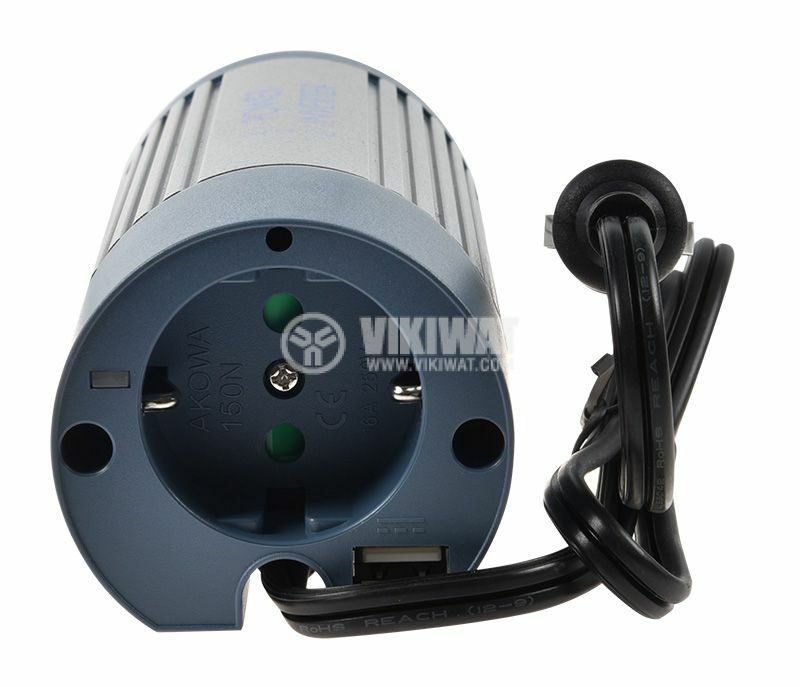 This will make sure that you have enough power to start your vehicle. - Consult a specialist to properly select the power of the inverter. - the indicated capacities are at an active load. Refrigerators, air conditioners, electric motors and motors, starters and the like are inductive or capacitive loads. When consumers are of this type, the rated power of the inverter should be up to 5 times greater than that of the connected consumers. - when the inverter is used to supply an inductive or capacitive load, the product withstand three to five times less load, depending on the nature of the load! - Ensure sufficient space around the inverter to allow it to cool down and heat-up to normal. The inverter must not be switched on when the vehicle is started (ignition). Failure to comply with these conditions may result in the inverter being overloaded or damaged and the warranty will not cover the fault! Please read the operating instructions carefully before plugging in and using the inverter!